This week my footballer of the week is Henri Camara. 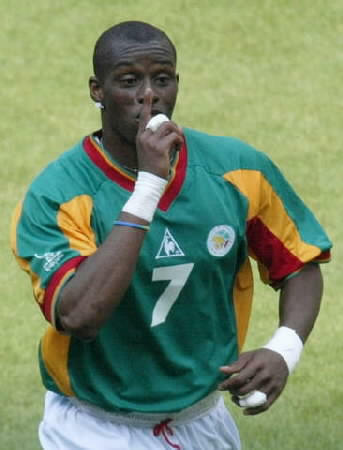 Camara, a Senegal international with over 50 caps signed for Saints on the last day of the January transfer window. He has done superbly so far scoring 2 goals in 1 and a half appearances. He is only on loan at the moment, from Wolves. Whether Saints stay up or not will probably depend if he wants to stay at the end of his loan. Last year when Wolves were relegated he refused to play for them. He was immediately loaned out to Celtic where he struggled to get in the first team behind John Hartson and Chris Sutton. At the end of his loan he went on loan again to Saints. He is not just a superb goalscorer he is one of the fastest and most skilful players in the Premiership.